What happens when you give four wine bloggers a chance to create their own wine? Read all about it! The 2016 Wine Bloggers Conference in Lodi, California, was an eye-opener. Those who considered Lodi the land of Zinfandel alone, were exposed to a veritable Garden of Eden with more than 100 different grape varieties. There are grapes native to Spain, Portugal, Germany, the Rhone and all of California’s leading varieties. Lodi also sports grapes from Italy. This includes Sangiovese, one of our favorites. Sangiovese from Lodi plays a leading role in the Masthead project, which saw a quartet of wine bloggers step away from their tablets and computers to create an impressive new wine. Masthead is a joint project of Scotto Cellars and four wine bloggers: Nancy Brazil and Peter Bourget (Pull That Cork), Melanie Ofenlock (The Dallas Wine Chick) and Cindy Rynning (Grape Experiences). The Scottos are one of the true pioneer winemaking families of California. They have been making wine for five generations, dating back to southern Italy before the turn of the last century. Great grandfather Dominic Scotto sold wine from a wooden cart in the Italian neighborhoods of New York beginning in 1903. The bloggers were invited to Lodi to visit the uber-cool Mohr-Fry Ranch Vineyards, the source of the grapes for Masthead. They had a chance to become acquainted with the old vines of Zinfandel and Sangiovese and the other varieties that distinguish Lodi. They then moved to the new Scotto tasting room in downtown Lodi to work with legendary winemaker Mitch Cosentino and Scotto Cellars’ own Paul Scotto to produce an exceptional wine. I must admit, 11 barrels of premium wine and four thirsty wine bloggers sounds like a recipe for disaster. Happily, I am proven wrong, because the results are delicious. After three hours of consideration and tasting, the group decided on a final cuvee combining two barrels of Sangiovese – one aged in Hungarian oak, the other in French oak. The end result is 528 bottles of liquid magic, also known as Masthead. In August, the opening reception for the 2016 Wine Bloggers Conference was at Mohr-Fry Ranches, a historic 225-acre vineyard farmed in accordance with the Lodi Rules for Sustainable Winegrowing. At a tent during a pleasantly warm evening, I had my first sip of Masthead. That’s quite good, I thought. Then it sunk in that this was the creation of four fellow bloggers – aided by some very skillful professionals. Wow. Opening night fun continued during the Masthead party at the Scotto tasting room downtown. No one should ever worry about being “stuck in Lodi” especially if they are near the Scotto tasting room. We recently received a bottle of Masthead and anxiously popped it open a few days ago. In the glass the wine is a cranberry red. It’s light and elegant on the tongue. Masthead is a playful mix of cherry flavor intermingled with touches of spice. The Green Dragon, my wife, says there is a taste of sweet tart. Whilst first opened, it seems a bit firm – perhaps that’s the Hungarian oak. We revisited the wine the following evening, and it was even more satisfying. It drank smoothly with tannins much more relaxed. Masthead is a labor of love – but one you can try for yourself. It is available in select markets around the US with an SRP of $30. What’s next, political bloggers running the White House? Fantasy football fans calling the shots for the Dallas Cowboys? We’re unsure where this might lead, but the initial foray by wine bloggers into winemaking is a tasty success. 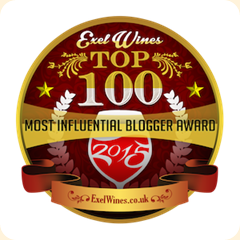 We raise a glass of Masthead in salute to all involved!